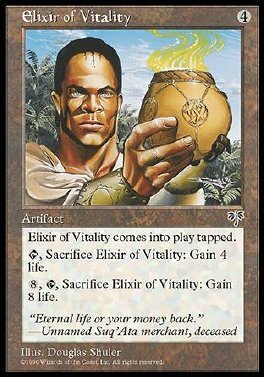 Elixir of Vitality comes into play tapped. T, Sacrifice Elixir of Vitality: You gain 4 life. 8, T, Sacrifice Elixir of Vitality: You gain 8 life.